An article in Cinema Today reveals that Toho Studios is planning a brand-new live-action Godzilla film, to be released in 2016! Thanks to Legendary Pictures version of the iconic character (released last summer, to mixed reviews but financial success), fan support for the King of the Monsters is at an all-time high, and a revival became possible thanks to that. No cast or crew details are known at this time but Toho has confirmed that this will be unrelated to the Gareth Edwards version and that projects’ previously announced sequel. 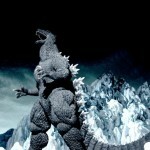 Stay tuned to TokuNation as we keep you up to date on all Godzilla movie details! TOHO is producing a new work of its iconic film monster Godzilla for release throughout Japan in 2016. It will be the first Godzilla film by TOHO since 2004's Godzilla Final Wars (pictured right). According to the Cinema Today website, the "legendary" Japanese franchise is undergoing a revival, in response to the heightened fan support after Gareth Edwards and Legendary Pictures' Hollywood Godzilla film became a worldwide hit. Now they'll show the world how its REALLY done. Didnt expect that to happen. Any source to this? I want to believe that this true but I can't see us having both American and Japanese Godzilla movies coming out so soon after each other. Oh wow thanks! I didn't think Japan will do another Godzilla movie until Legendary Pictures is finished with their movies. 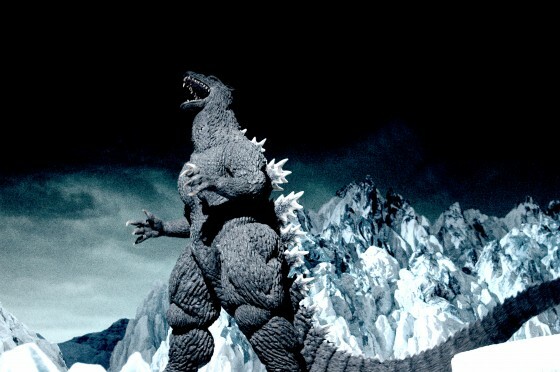 While I love Legendary's Godzilla, I'm looking forward to see a normal Japanese Godzilla movie again. I feel like a kid again with the new Godzilla stuff coming out in the next few years. Never expected to see Japanese movies alonsside the Legendary ones, but hey, definitely not complaining about it. Oh goodie. A Godzilla movie that won't having Mr. Military boring Mc-not-Quicksilver from X-men DOFP. Although I wonder is there's gonna be some territory that either japanese and American franchise can't cover to hurt sales of the other. We know certain monsters are Gonna appear in Godzilla 2, but I don't think Toho will use them for this movie. Best news in the world! I'm not really into the American takes on Godzilla, give me Gojira any day of the week! I'm stoked! I hope the movie ends up coming here.